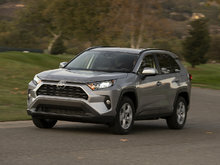 The 2019 Toyota RAV4 bowed at last year’s New York international Auto Show, and now it has arrived on the market. The new RAV4 features a wide range of improvements that make it better than ever before, and a new design that will surely get it noticed on the road. The previous generation Toyota RAV4 was a great SUV and one of the best-selling models in Canada. The new generation is even better. It has more space, more technology, more power with lower fuel consumption, and standard safety technologies that provide you with the peace of mind you need. One of the new Toyota RAV4’s main competitors will surely be the Honda CR-V. The CR-V is also considered to be a spacious and versatile SUV that puts the emphasis on comfort. As we can see below, however, the CR-V doesn’t have the same efficiency. The new Toyota RAV4 got a significant boost of power when it was redesigned. Its 2.5-liter, four-cylinder engine now delivers 203 horsepower and 184 pound-feet of torque, quite a bit more than the Honda CR-V which has 190 horsepower from a turbocharged four-cylinder engine. This gives the RAV4 more kick from a stop and provides the driver with more passing confidence. 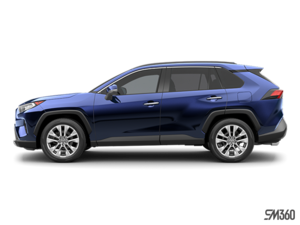 The lack of a turbo also makes the engine a bit easier to maintain and less expensive, and then there’s the RAV4’s towing capacity. 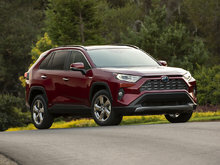 While most models tow 1,500 pounds like the RAV4, the new 2019 Toyota RAV4 Trail can tow 3,500 pounds. 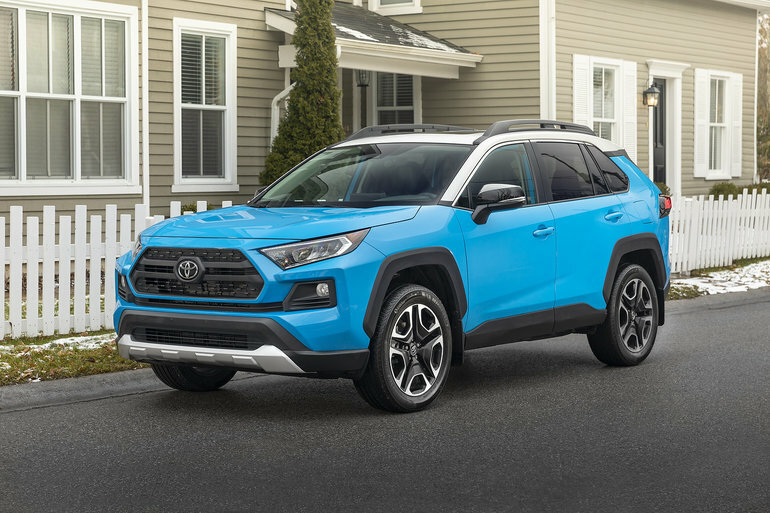 That’s quite a bit more than the CR-V.
Lastly, both the new 2019 Toyota RAV4 and the Honda CR-V feature active safety technologies, but Toyota’s Safety Sense system is standard on all models, even the base FWD version. The Honda CR-V only offers active safety on its AWD models. Come in today to learn more about the new and redesigned Toyota RAV4.